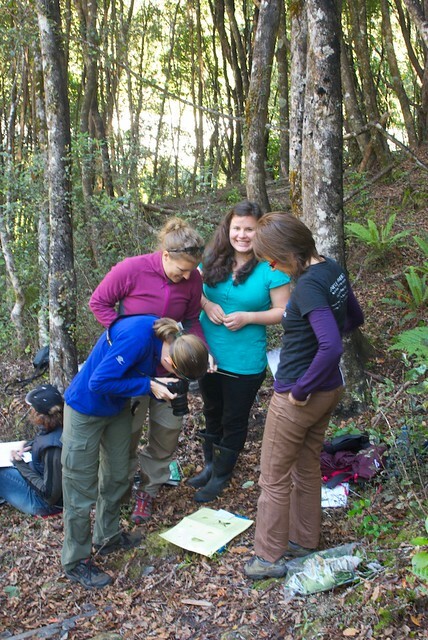 One of the big strengths of the ecology programme at Lincoln University is our strong emphasis on field experience. It is great fun! Students love it and so do staff. Students often consider field courses to be the best parts of their degrees and staff love to be reminded of why we often chose to be ecologists in the first place. This shared love of the outdoor experience also breaks down barriers between staff and students (enabled by the fact that trips are often overnight and so students and staff will do chores and socialise together, and while away long vehicle journeys chatting about all manner of topics). A key tenet of education is learning by doing: nothing beats actually getting hands on (often hands dirty in ecology!) to learn a new technique, acquire a new skill or to understand theory that much more clearly. It helps students determine their career path. Many students will fall in love with ecology fieldwork and strive to find a job that allows them to continue to do this. Equally importantly though, it allows some students to realise that field work isn’t for them. Field work can seem very glamorous when we read about it in magazines or see it in documentaries, but like all science it is repetitive. Add to that occasional harsh weather conditions and biting or dangerous animals and it is understandable that not everyone will love field research. It is better to discover this early in your career, so you can pursue other jobs, keeping in mind that your experience of field work will nonetheless be relevant to a wide range of vocations in ecology and beyond. Field work enhances time management and problem-solving skills. Time in the field is costly and so we need to be efficient when doing field work. Also, when doing field work you can virtually guarantee that something will go wrong, be it equipment failure, extreme weather, health scares or problems accessing field sites, so a successful field trip often requires excellent problem-solving skills and resilience. At Lincoln University our undergrads can get field experience via field trips in their courses, and through research placements or summer scholarships with staff. Our postgrads conduct research all over the place on a wide range of organisms and in varied ecosystems. Here’s a gallery of some of our field ecology action. 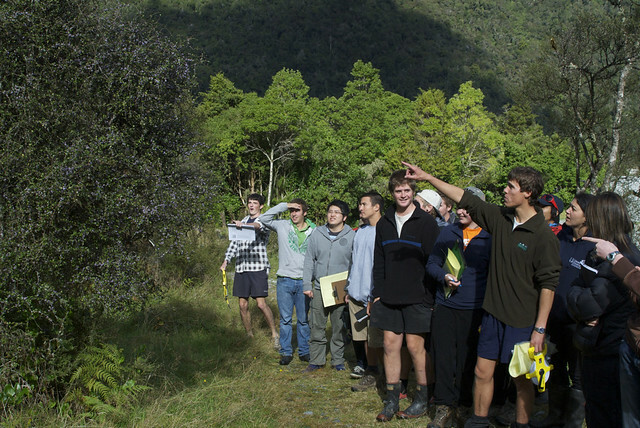 Below we describe the field trips in each of our ecology courses. In this course we go on a day trip to Quail Island (Otamahua), a Department of Conservation Recreation Reserve in the middle of Lyttleton Harbour, just south of Christchurch. Otamahua, which has a rich cultural history, is now the focus of an extensive ecological restoration programme, run by the Quail Island Ecological Restoration Trust. This project aims to restore native forests and grasslands on the island and control pest vertebrates to ensure the successful reintroduction of native birds, lizards and invertebrates. On this field trip students learn about tree and invertebrate identification, measure vegetation in restoration plots, learn about the restoration project and explore the island. Nathan Curtis (left) and Jon Sullivan discuss how to survey birds on Quail Island with ECOL103 students. 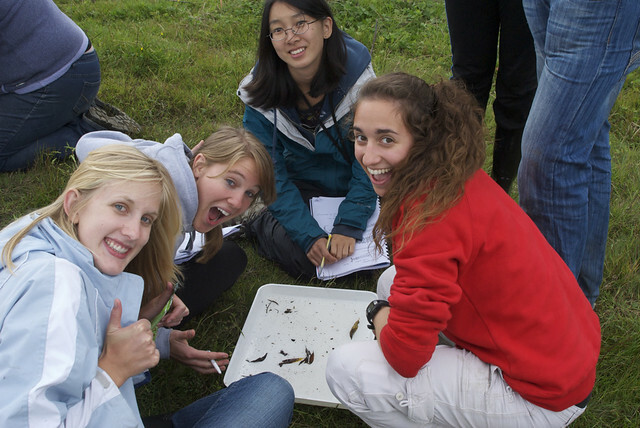 Our Biological Diversity course is all about students getting practical hands-on experiences with biodiversity. We have weekly labs and students’ nature journals, and our three day Biodiversity Coast-to-Coast. Our Coast-to-Coast takes us to and from Lincoln across the Canterbury Plains, across the Southern Alps via Arthur’s Pass, and to sites on the West Coast between Greymouth and Punakaiki. The tour takes us through a wide range of South Island habitats and environmental conditions across dramatic gradients in rainfall, elevation, and habitat modification. The sites we stop at include McHugh’s Plantation in Darfield, Lord’s Bush and Kowai Bush near Springfield, the Broken River skifield entrance to Craigieburn Forest Park, Greyney’s Shelter, Dobson Nature Trail, and Kelly’s Creek, all in Arthur’s Pass National Park, the Rakaitane walk and Deep Creek by Moana at Lake Brunner, and Truman’s Track and Nikau Scenic Reserve at Punakaiki. The class, in groups, look at a wide range of species and habitats along the trip, including birds, plants, fungi, and terrestrial and freshwater invertebrates. The many species we find are all documented on our project on NatureWatch NZ. All our student observations from the class Nature Journal assignments are also on NatureWatch NZ: The Great Canterbury butterfly hunt, Backyard birds, Backyard mammal tracking, and Backyard ground invertebrates. Together, these class observations contribute to knowledge of biodiversity changes happening in Canterbury and Westland landscapes. ECOL293, a new course in 2015, gives students hands-on experience with common field ecology methods. Each year, the course is focused on one place in the wider Christchurch area that would benefit from surveying. In 2015, we are working with the Summit Road Society at Ohinetahi Reserve, a large reserve on the Christchurch Port Hills between Govenors Bay and the Summit Road. Most Fridays, the class is in the reserve learning about a suite of field ecology methods. Each week we focus on how to survey a different set of organisms or ecological processes (birds, plants, invertebrates, mammals, plant-insect interactions, etc.). When we’re not in the field, we’re in the lab learning about how to do useful things with our data. This field trip takes place over three days and visits the picturesque Mackenzie Basin. On the first day we travel to Glentanner via Geraldine and Tekapo. In Geraldine we visit Talbot Forest Scenic Reserve, which is the last remnant of an extensive forest that once covered the Geraldine area and is still home for some rare flora and fauna. After lunch we visit the Tekapo Scientific Reserve which is 1,058 ha tussock grassland that has been fenced off to determine vegetation changes following reductions in both sheep and rabbit numbers. Within the reserve we visit some permanent vegetation plot sites and discuss historical changes in the vegetation following fire and pastoral grazing. On the second day we visit the upper reaches of Pukaki River, which is home to the world’s rarest wading bird – the black stilt. At this site we set up a variety of mammalian monitoring tools and discuss the merits of each technique. In the afternoon we visit a patch of wilding pine that has been slowly expanding since a reduction in stocking numbers on the farm. These weed trees now cover large areas of the MacKenzie Basin and exclude native vegetation and reduce the amount of available pasture. On the final day we visit the Department of Conservation Captive Breeding Centre near Twizel. At this facility black stilt chicks are reared before release back into the wild. At this site we discuss predator trapping techniques and the future of the black stilt in the area. 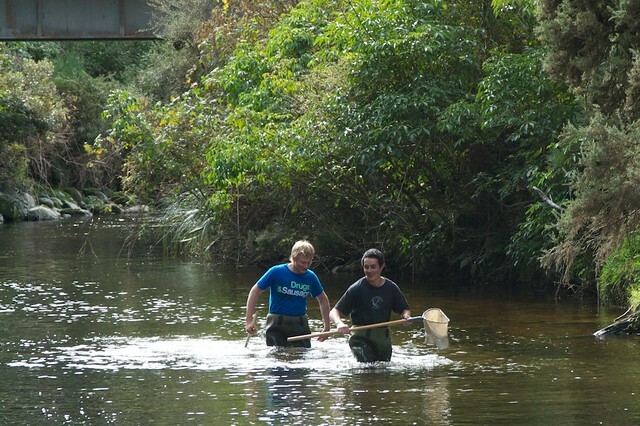 Students spend a week, usually at the Boyle River Outdoor Education Centre near the Lewis Pass, working with staff on their own field-based research projects. Students work with staff to derive a question that interests them and is tangible and then collect the data needed to answer it. Projects have addressed a wide range of taxa including mammals, birds, plants, lichens, spiders, moths, and other invertebrates. ECOL393 students in action collecting data on plant, bird, and invertebrate projects. View of the Boyle River Outdoor Education Centre from the Nina Valley. Photo: Gerrit Roux. Previous students have written EcoLincNZ blogs on their experiences (see here, here, and here). The outcomes from this research have been published in the scientific literature, presented at international and national conferences and won prizes at these. We have also had students discover new species among their samples (e.g. this cave weta)! Students on this course are expected to make their own collections of insects, which they identify in labs during the semester. Collecting and identifying insects in this way gives students a really deep understanding of insect diversity that is not possible in other ways. Early on in the course we spend a weekend at Castle Hill collecting insects using a variety of methods (sweeping, beating, trapping, etc. ), in several different habitats including alpine scree (at Craigieburn Ski Field), high country lakes and streams (at Broken River, the Thomas River, and Lake Sarah), and native beech forest in several locations. During this trip students collect a good proportion of the insects they will need for their collection as well learning how to pin, mount, and curate insects for scientific purposes. The trip is also a great opportunity to get to know staff and other students on the course in an informal setting away from the classroom. Sitting round a light trap at night collecting moths and other insects is a great way to socialise, while also learning about insects, biodiversity, and the natural beauty of the local area. We have even been known to discover species of insects that are completely new to science, some of which have been formally named and described from material collected by students on the trip. 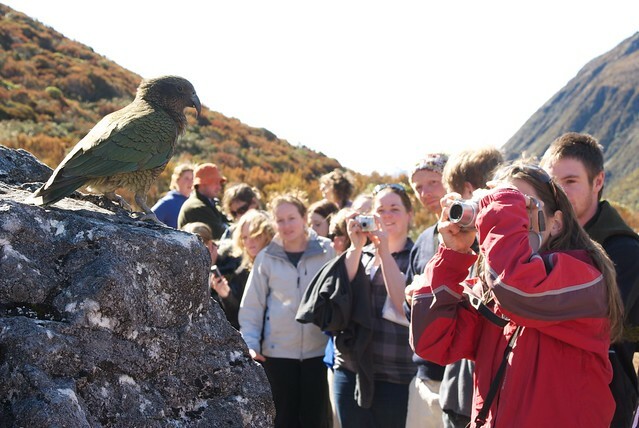 A postgraduate course that focusses on the biodiversity and ecology of Mount Grand, Lincoln University’s 2000 ha high country station overlooking Lake Hawea in Central Otago. Mount Grand raises Merino sheep in a beautiful high altitude farmstead that has recently undergone tenure review; transferring ownership of the most biodiverse areas of this landscape to the Department of Conservation. Unique New Zealand alpine vegetation includes well-developed communities of kanuka, matagouri and kowhai, as well as long-term grazing exclosures in diverse tussock and speargrass habitats. We focus on how the soils have been modified by agricultural practices, and the challenges of restoring natural plant and animal communities whilst controlling invasive species. Postgraduate students spend a couple of days at Onawe Peninsula near Akaroa on Banks Peninsula. At Onawe we monitor the vertebrates at the site (especially mammalian pests and lizards) using waxtags, camera traps, tracking tunnels and onduline squares. We spend a day setting out the devices, half a day checking them and another half day checking and collecting them in. Along the way we can take in some great sea views. A group report is produced that goes to the local iwi to comment on management. We also have fieldwork on campus which involves audio playback experiments with small songbirds and often requires mist netting. This summer school investigates how restoration of plant communities can be used to resolve land degradation and contamination issues, re-integrating biodiversity into human-modified ecosystems in agricultural, mining and urban landscapes. Field trips will be underpinned by lectures, seminars and workshops led by local and international experts covering key concepts and themes of soil science and ecology, exploring linkage between ecological diversity and key soil processes such as nutrient and pollutant mobility. The summer school will be based primarily at restoration sites in Canterbury with an additional field visit across the Southern Alps to the West Coast. Students will experience and gain hands-on experience of active ecological restoration projects, each of which presents unique restoration challenges.